Heavily inspired by the quirkiness of his Nissan Cube & his creative ability with Digital Marketing, Cubed Digital was started by Corey Patrick, our CEO & Creative Director. Corey is firm believer that marketing doesn't have to be boring and that any business can be using modern marketing methods. what can cubed digital do for you? Meet Corey. 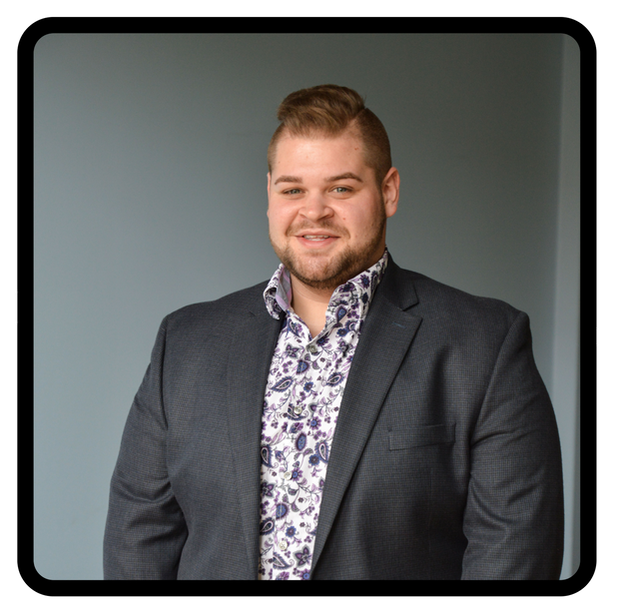 Corey is a 2016 graduate of Youngstown State University where he majored in Finance and Marketing, minored in Entrepreneurship and earned a certificate in Nonprofit Leadership. He brings much experience to small businesses and startups through his prior work as a Beeghly Fellow at the Ohio Small Business Development Center located at YSU. Post-graduation, Corey remains an active member in the community as he serves on the Board of Directors for a local nonprofit, The Walnut Grove, an inclusive, special needs accessible playground and trails project in Canfield, Ohio. Additionally, Corey is a group fitness trainer at Studio Pump, a blog writer for the Cleveland Plus "Living Here" blog, and works as the Director of Marketing and Communications at the Youngstown Business Incubator.